After weeks of fighting, I was finally able to get my hands on the Post Pandemic version of The Last of Us. What did I think about it? To be honest, at first, I was like, what is the big deal. 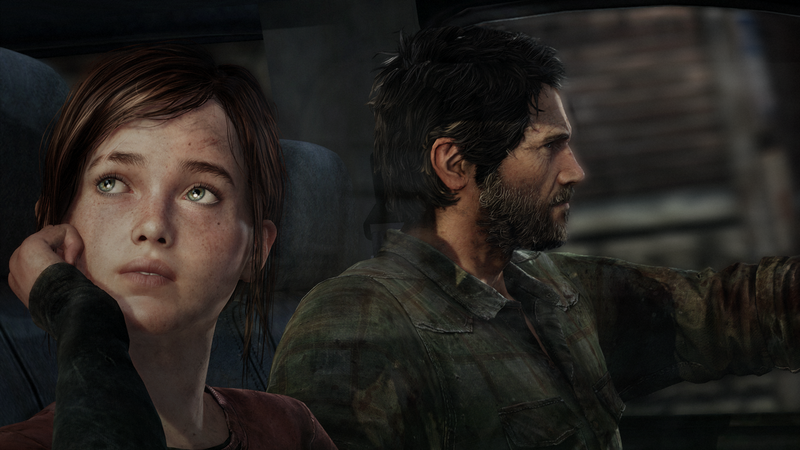 As the story moved along and the chemistry between Ellie and Joel improved, the game really started to shine. This is very true throughout the game, you are trying not to get caught by the Infected. Sure you will have other enemies you need to face along the way, but the majority of the time, you are trying not to get caught. The Last of Us is a third person game. Your main mission is to guide and help Ellie find a group of people called the Fireflies. Along the way you will come across some other supporting characters that are very important to the plot. You will also come across a few different type of enemies called the Infected. These are former human beings that have caught a fungal parasite called Cordyceps. While the game has some very awesome life-like graphics, there are some very small, nip-picking stuff I have seen. One of the biggest ones was with Joel himself and one of the actions he performed. While gathering items for crafting, he will sometimes reach through a table’s front and back out of the top. There was a few times when Ellie would literally walk right through Joel as if he wasn’t even there. This won’t make or break the game but there are some little things here and there. With Naughty Dog’s overall quality and attention to detail of everything else, these can be overlooked. The good parts of this game greatly outnumber the bad parts by a large margin. Some of the things that really made me take notice would be over looked by many other developers. In one of the scenes you are walking along a beach front area. If you turn around you can actually see your foot prints in the sand behind you. I did a little test and walked in a tight circle and then took a few steps away to see what would happen. What I saw was the circle I had made in the sand and where I walked away from it. It’s these little things like this that make Naughty Dog stand out as one of the elite developers today. During the entire game I did not see any graphical tears, rough edges, blurry images and so forth. Everything was clean sharp and very detailed. Even the level that you played in the demo was polished. It didn’t seem too cloudy looking like I reported in my demo impressions. It wasn’t bright and vibrant but it was a lot sharper to the eye. Not once did I think that my eyes where blurry looking. There are many gorgeous scenes throughout the game. There was one however that I really liked the best. While you are making your way through an old Bus Station, Ellie spots something and gets super excited. Of course you peer out a window after she does and spot thing in particular. A few moments later you emerge to find a giant hole in the wall and a Giraffe feeding off the vegetation that is growing. It is so close that one of the interactions is petting the Giraffe. It then wanders out around the wall. You make your way up to the roof of the building and over to where Ellie is standing. The camera pans out and shows a heard of Giraffes feeding and walking around with the backdrop of the city behind them. It is an amazing view. It was a nice break in the action. Most companies would think that since this isn’t a major part of the game that the Giraffe wouldn’t have to be done in high-res. Not Naughty Dog. The Giraffe looked amazing up close. Enough about the graphics. How about the game play? The game played very liquid smooth. From the melee to the gun fire, everything just felt right. There was a few points when Joel would get hit that he would stumble and take a second to compose himself, during this time though you wouldn’t get swarmed and not be able to defend yourself. As soon as Joel would stabilize, the fighting would resume. It felt a little awkward at times but never overwhelming bad where I got frustrated. The gun fighting was also very well done. With a limited about of bullets you could fire you had to make sure that every shot counted. I never ran into a single problem with me manually aiming the gun or having the game auto locking. When the game did auto lock, it would focus on the chest area of your enemy. Each gun that you fired had its own sound and kick back feel to it. From the normal shotgun to the small hand pistols, everything fired with accuracy and control. Even the bow and arrow that you used felt good. You could hear the bow flexing while you pulled back on the arrow and the sound of the string as you let got. Even the arrow taking off had its own distinct sound to it. The melee weapons also sounded different. While they didn’t have their own weight feel, the sound they made when hitting against something was different. Even when you dropped an item to pick up another one, that sound was related to what you had in your hand. When I dropped my baseball bat to pick up a lead pipe, I was expecting it to sound like a generic piece of wood hitting the ground. I was surprised to hear the typical wooden bat sound as it bounced off the floor. It’s the little things that help surround you within the game and make you feel more connected to what you are doing. To survive you have to craft things. These came be from melee weapon improvements, health kits, molotovs and so forth. You can get through the game without crafting hardly everything (except for health kits) but it will take away from the experience. Having those things in your backpack helps give you a more of strategy on how to get through certain parts of the game. Of course you can just stick to gun fights. By crafting a bomb you can take out a group of enemies at once while at the same time conserving your ammo. Crafting items are not in abundance everywhere in the game but they are around enough to keep your backpack full and useful. There is a very slight leveling up feature built into the game. The choice is up to the player if they want to use it. The game does not force you to level up at any time. In fact there isn’t much acknowledgement about it. Basically you will collect “supplements”. These will allow you to spend them on such things as Joel’s health, crafting times, healing times and so forth. You do not have to use these at all if you don’t want to. Talking about crafting and healing times, these are done in real time. The game and action will not pause while you root through your backpack and do things. You can still get attacked and killed while doing this. It is best to do these things after you clear out an area or before you enter a new one. Each one does take a few seconds to perform. During that time Joel is vulnerable to everything around him. Make sure you are in a safe place before you start something. The story, while at first, seemed flat to me, really picked up the further you got into the game. As I mentioned a little while ago, the chemistry between Ellie and Joel is nothing but amazing. You don’t meet Ellie until a little bit into the game. The point before her introduction was fairly laid back. It was like building some of the momentum to keep the rest of the game going. Not that it was bad, it just didn’t meet the high intensity that the rest of the game presented. Towards the end of the game you actually get to control Ellie. The beginning part of this presents you with a nice break from the game. You are out in a snow covered forest hunting for food. In the distance you see a deer and shoot it with an arrow. The rest of the time is spent tracking it throughout the woods while shooting it a few more times. After finding the deer the story starts to pick back up. This serves as a nice relaxing point. It allows you to sit back and take everything in that happened before this point and also catch your breath as to what happened before this point in time. It did feel slightly out of place from the rest of the game, however, once the actions picks back up, it felt just fine. The Last of Us is not a perfect game by any means. It does have its little problems here and there. These are so insignificant that it doesn’t take away from the rest of the game. You can really tell a few hours into the game that Naughty Dog spent a good amount of time creating this piece of art. After all, it took them three years to make this game. If you haven’t picked up the game just yet, do so. The length is fairly long for this type of game. I clocked in at 20 hours. That includes me exploring around quite a bit and just taking my time with things. Either way, it is a far cry from the typical 10 hour type of games that we are coming accustomed to. The Last of Us is a must own and a piece of art that must be played. This entry was posted in Uncategorized and tagged Games, Naughty Dog, PS3, reviews, Sony, The Last of Us. Bookmark the permalink.